Upright Roasting syrups are handcrafted in small batches using only natural ingredients. The aromatic, smoky, sweet lavender notes will complement any coffee – hot, cold, espresso or au lait. It’s delicious. Makes up to 40 cups of coffee. 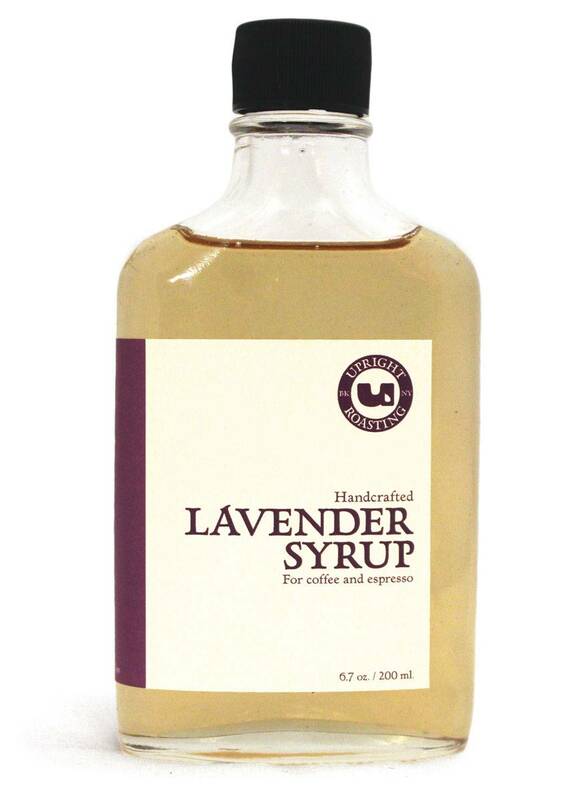 Each bottle of lavender syrup is 200ml and can make up to 40 cups of coffee. Make your own Lavender Latte. Add 1 teaspoon lavender syrup to a 1.5 oz. shot of espresso. Steam 10 oz. of milk and pour into the espresso.